With the SIHH 2018 almost upon us, we expect to see some great watches coming our way from the 18 brands exhibiting there. One of those brands, Baume & Mercier, may have an extension for us resulting from the company’s partnership with Indian Motorcycle, America’s First Motorcycle Company. 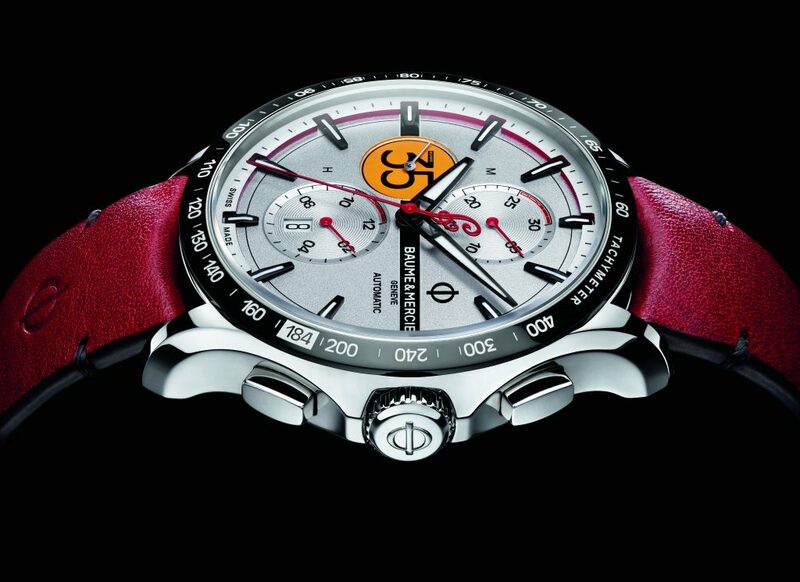 The collaboration, announced earlier this year, witnesses the two brands working together to translate the motorsport spirit into an interesting watch that honors a motorcycle legend: The Clifton Club Burt Munro Tribute Limited Edition. Built in a limited edition of just 1,967 pieces — marking the year that motorcyclist Burt Munro set a world record with his Indian motorcycle. 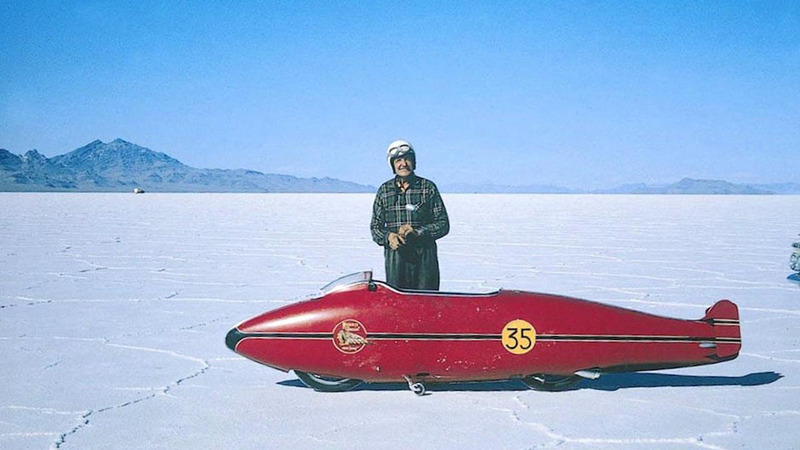 In fact, he had purchased his Scout streamliner motorcycle in 1926, when it was only capable of doing 55mph, and he spent 40 years modifying it in his shed, He made innumerable trips to the Bonneville Salt Flats testing the bike and perfecting it until, in 1967, the then 68-year-old grandfather set an under 1000cc record speed of 183.59 mph (294.5 km/h). (Later, Munro’s son, John, noticed that the average speed calculation on the original 1967 record certificate was inaccurate and that the speed reached was actually 184.087 mph (296.11 km/h). The official listing was therefore corrected 47 years later, and set the record that still stands today .His story was immortalized in the 2006 film called The World’s Fastest Indian, starring Anthony Hopkins. The Baume & Mercier Indian Burt Munro Limited Edition watch recalls the record-setting speed Munro hit at the Salt Flats in 1967. This year marked the 50th anniversary of that record, and so it was an apt time for Baume & Mercier to unveil this special edition watch. The 44mm stainless steel automatic chronograph features special details designed to commemorate the extraordinary achievement of Burt Munro. 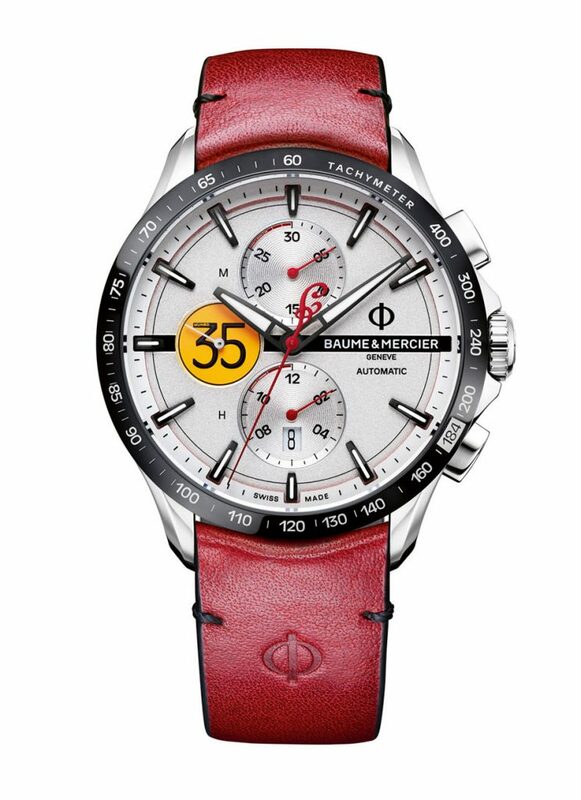 Among those details, the large, yellow number 35, Munro’s lucky number, in the chronograph seconds counter; the “Indian Red” calfskin strap that emulates the Indian Motorcycle Company’s signature color; the silver-colored sandblasted dial that recalls the Bonneville Salt Flats, where the record was set. The counterbalance of the chronograph seconds is in the form of the Indian “I.” Finally, the tachymeter scale on the bezel has the record-setting 184 mph highlighted on it, and the case back features the famous Indian Headdress logo. The watch retails for $3,750. Armed with this information, which Zimmermann recently shared with us, we are excited to see the next watches designed to honor this affiliation between America’s legendary Indian Motorcycle and Switzerland’s Baume & Mercier.